Harley Davidson introduced Softail models for the first time in 1986. By positioning two rear shocks beneath the motorcycle, they were able to achieve the appearance of a rigid, “old school” looking frame. Between 1986 & 1999, Harley Davidson Softail’s consisted of the Fatboy, Heritage Softail, FXST, and Springer models. Future models included the Deuce, Deluxe, Breakout & Slim. 2018 & newer Harley Davidson Softail models will retain their classic appearance, but have some big changes. The entire 2018 & newer M8 Softail lineup has a completely redesigned chassis, new underseat, hidden, single shock, and the new Milwaukee Eight V-Twin engine. This new engine is offered in 107 or 114 cubic inch displacement. The 45 degree, four valve per cylinder M-8 V-Twins now have dual counter balancers. All 2018 & newer M8 Softail cruiser motorcycles use a newly designed frame that reduces overall weight by up to 35 pounds and improves handling and ride quality. The new frames offer three steering head angles in 28, 30, and 34 degree rakes. There is a a “standard” and “high” ride height and a “wide” or “narrow” swingarm depending on the model. There are a total of eight new models (12, when counting the 114 variations). All new models have a commonality which will allow for an unprecedented interchangeability of parts with the potential for a whole new level and ease of customization potential. As Mike gives us an overview of the new Heritage Softail, he reminds us of the importance of the owner’s manual that comes with every new Harley. Every vehicle owners manual has a lot of pages of mundane, common sense info, but these manuals also have a lot of very important information that is necessary to learn as an owner and rider. If intending on doing your own maintenance and repairs, it is also very important to pick up the factory service manual for your year and model. A lot of riders find it hard to separate with the 100 + dollars it will cost to purchase a Harley Davidson service manual but it is actually about the same cost as one hour of labor at the dealership and will pay for itself over and over again. 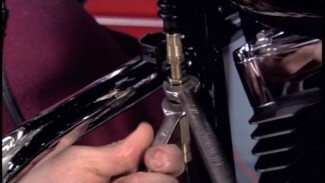 Follow along as Mike walks us through the factory service check list for the M8 Softail. 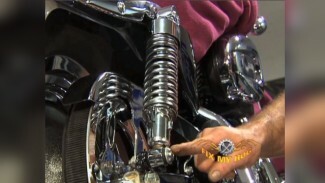 We might step off the chart here and there but we cover all required service procedures for the Harley M8 Softail. Click on each title to go to the video. On each video page, at the bottom of the video description you will find a link back to this checklist. We will keep adding videos as they come out of editing.